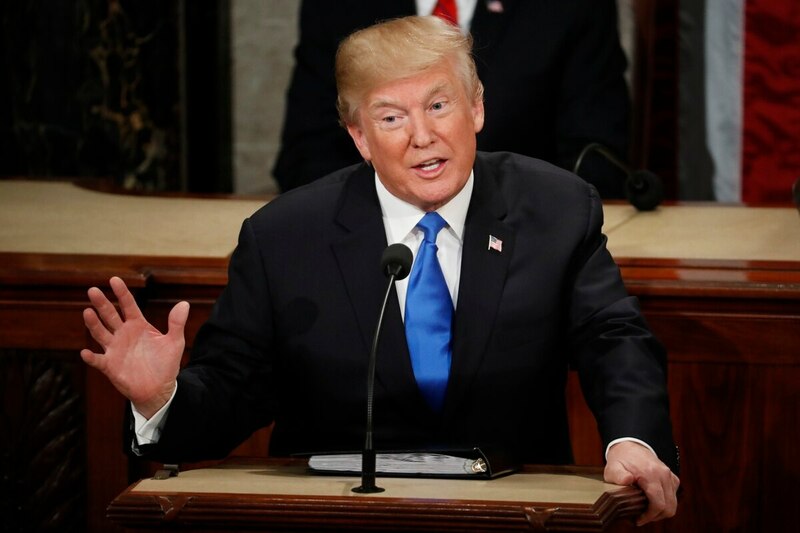 WASHINGTON — President Donald Trump’s State of the Union address next week will include a call to end America’s ongoing wars overseas, building on his recent comments suggesting troop drawdowns in Afghanistan and the Middle East. The speech, set for Tuesday evening, will include a significant section on national security, according to a senior administration official involved in planning for the event. Specifics are still being discussed, but the speech is expected to touch on troop drawdowns and diplomatic shifts. “It is now time to start coming home and, after many years, spending our money wisely. Certain people must get smart!” he wrote. On Thursday, the Senate approved legislation rebuking Trump for his proposed withdrawal of U.S. troops from Syria and Afghanistan, saying rogue elements in both countries still pose a significant national security threat to the United States. Officials involved in the planning would not give specifics on which foreign countries Trump will focus on in the speech, other than to say the political turmoil in Venezuela would be addressed. Much of the speech will include calls for bipartisan compromise on ways to reform government and help American workers. The speech was delayed for a week by the month-long government shutdown. House Speaker Nancy Pelosi forced the postponement of the address into February, saying it would be inappropriate while budget negotiations were ongoing. In last year’s speech, Trump praised military progress in both Afghanistan and the Middle East, and he also claimed credit for bolstering America’s military might through increased Defense Department funding. Officials crafting this year’s speech said many of those themes will be repeated in next week’s address. Trump is scheduled to deliver the address at 9 p.m. from the House chamber.